The images go through WWII. Some great pics of Boeing plants in the Seattle area. 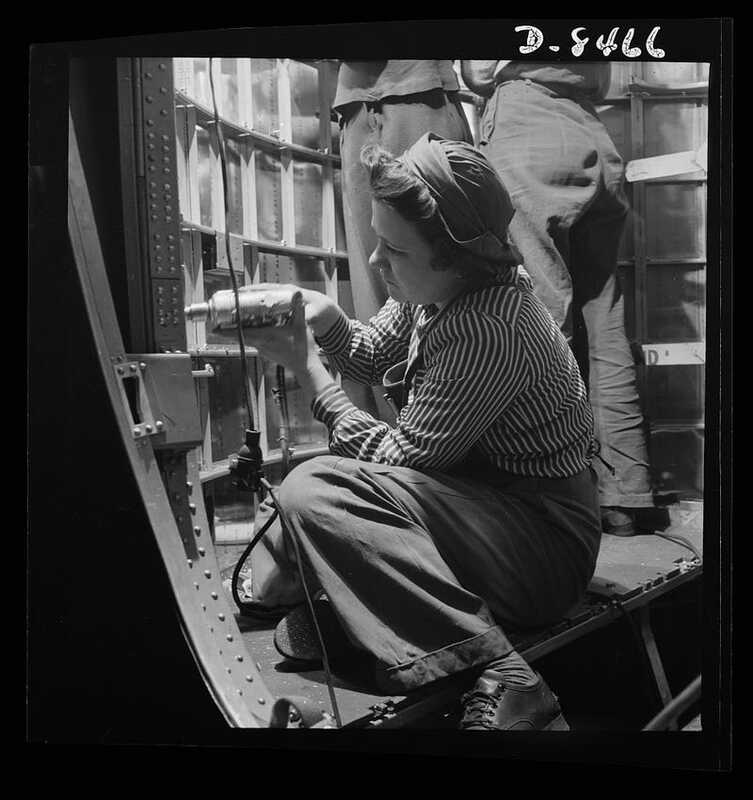 My grandmother worked there during the war assembling B-17s and B-29s. This isn't her I don't think, but you never know.